Privia digital pianos redefine the digital piano category with unprecedented sound quality and performance features in a stylish, elegant design that is supremely portable. 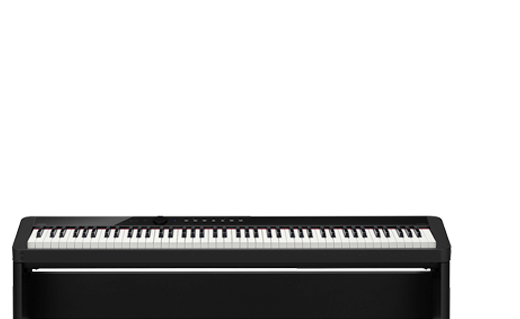 Featuring superb grand piano sounds and a new Tri-Sensor 88 note scaled hammer action keyboard and some models weighing only 25 lbs., the Privia digital pianos are versatile enough for any home, studio, or stage. 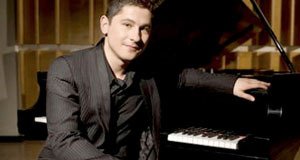 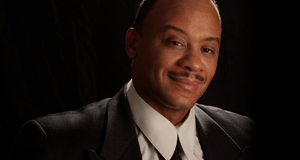 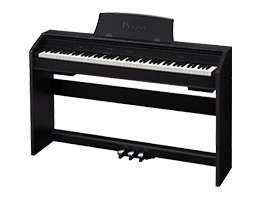 The grand piano sounds in Privia digital pianos deliver an unprecedented level of realism and expression. 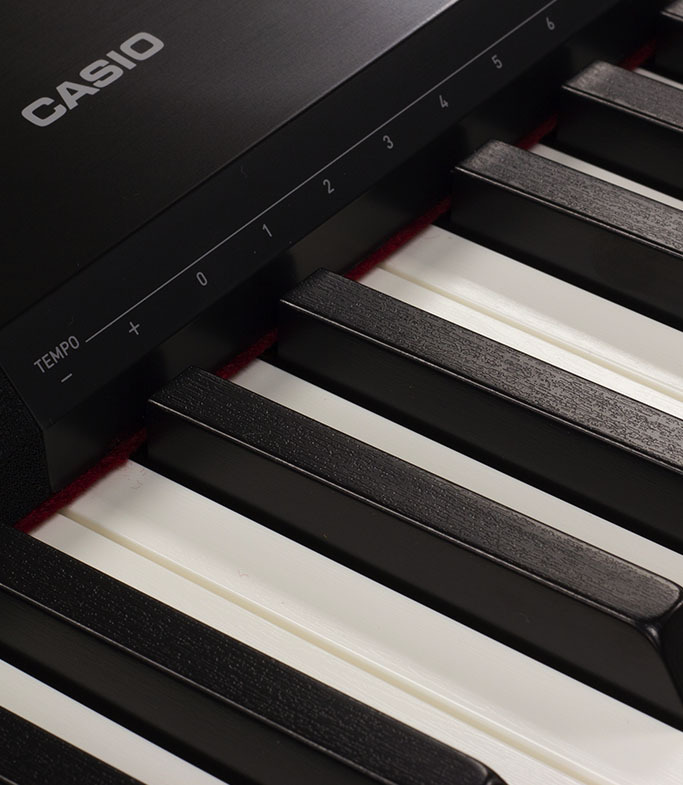 Four dynamic levels of stereo piano samples from a 9' concert grand are integrated with Casio’s proprietary AiR (Acoustic and intelligent Resonator) processor for a grand piano sound with seamless transitions and a superior dynamic range. 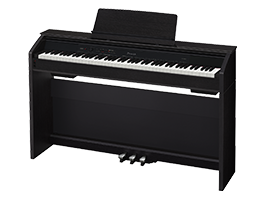 To further the grand piano experience, AiR adds realism by simulating the sound of the open strings when the dampers are raised by the pedal. 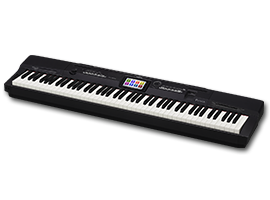 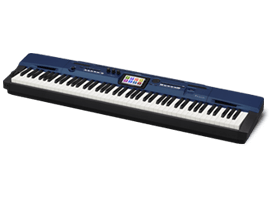 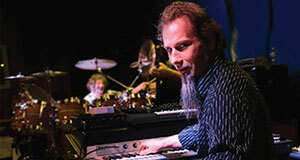 Privia digital pianos feature Casio's Tri-Sensor Scaled Hammer Action II keyboard. 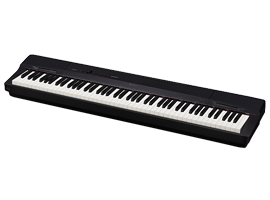 This meticulously engineered keyboard action recreates the weight, feel and resistance of a grand piano. Simulated Ebony and Ivory textured keys provide an incredible feel and its three sensors capture the dynamics of a performance with unparalleled speed and accuracy. 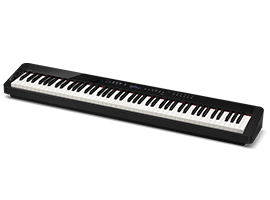 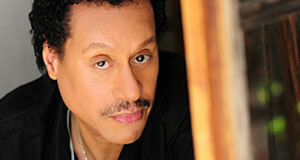 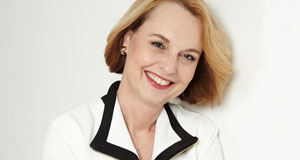 without sacrificing the portability of the instrument. 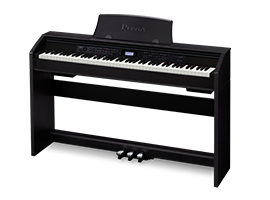 Privia digital pianos have many different instrument tones. 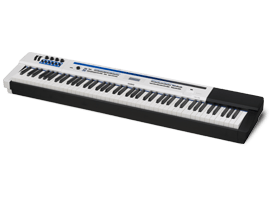 Some models have 16 different tones, while others have hundreds. 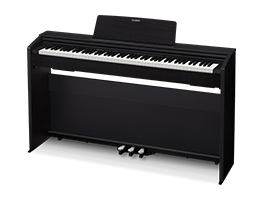 Piano is the most important sound in Privia and Casio has delivered with an expressive and dynamic grand piano sound. 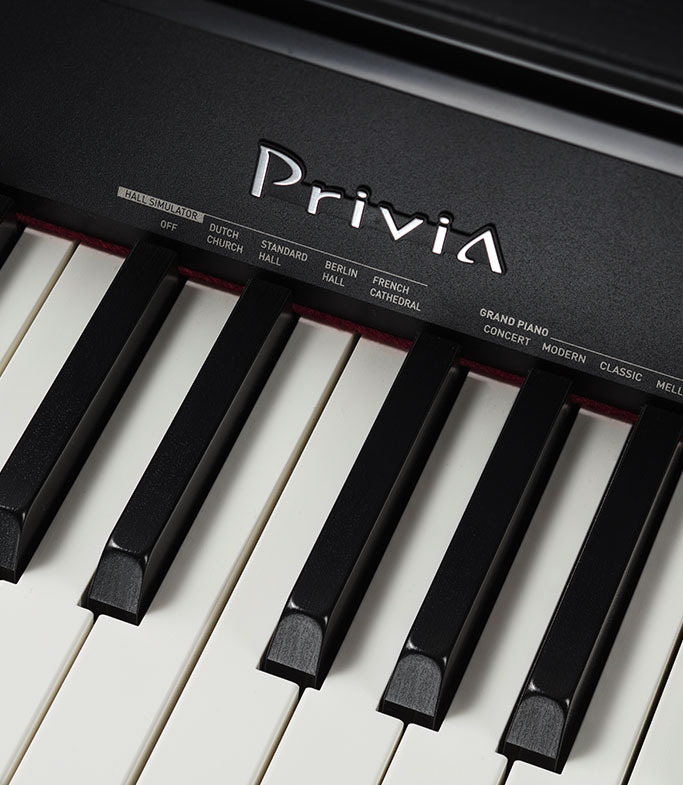 Whether you’re playing rock, jazz or classical music the piano sounds in Privia deliver. 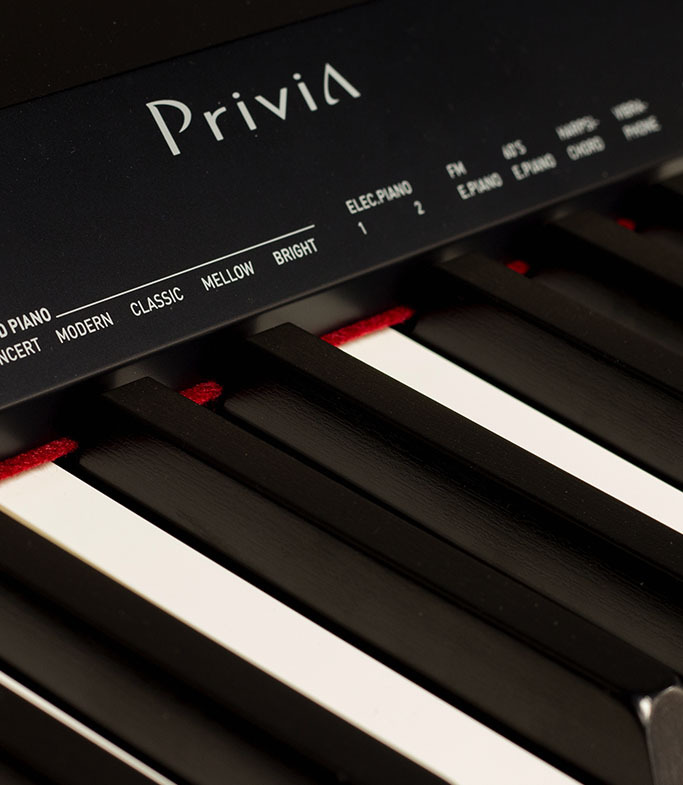 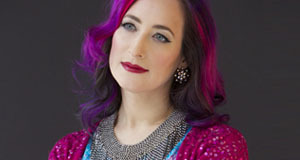 All Privia digital pianos feature Class Compliant USB MIDI allowing use with Windows and Apple computers, tablets and other devices without the need for additional drivers. 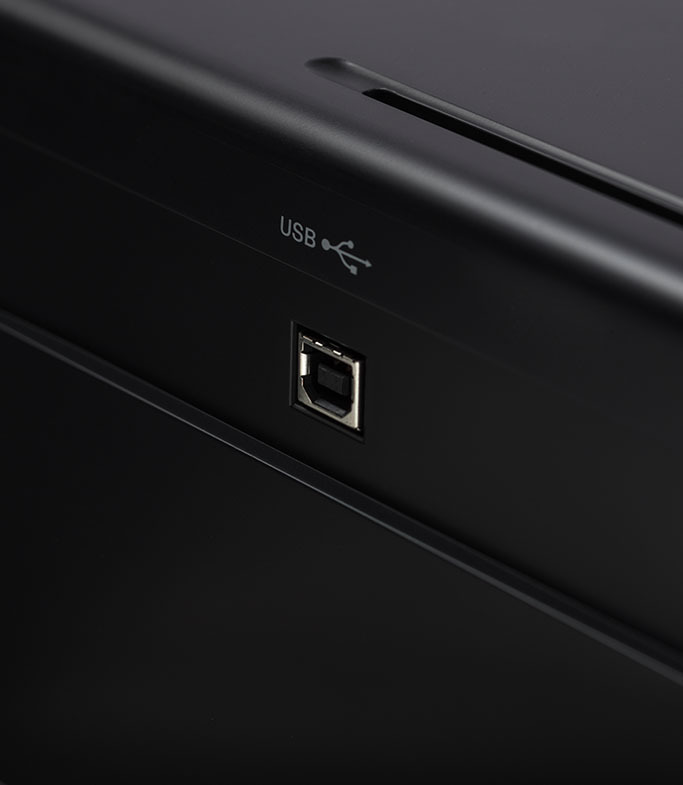 All models have two headphone connections and some models provide 1/4" audio outputs and standard MIDI connections.